Three polls on Saturday showed a rise in support for the opposition Labour party. 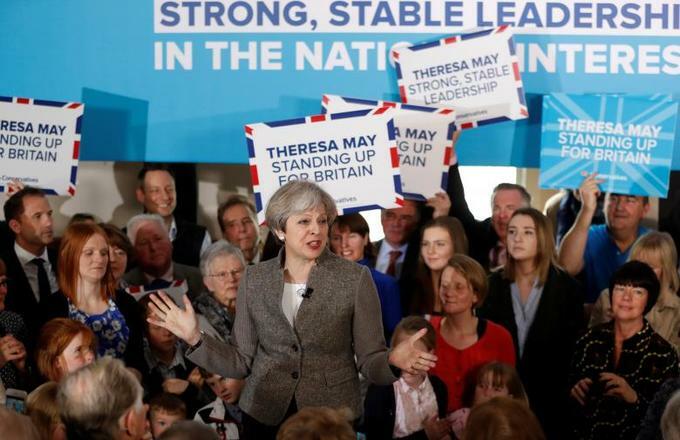 The polls showed the party of British Prime Minister Theresa May remained between 11 and 17 points ahead of Labour, still enough to deliver a clear victory as she seeks a mandate ahead of negotiations over Brexit, due to begin in the summer. 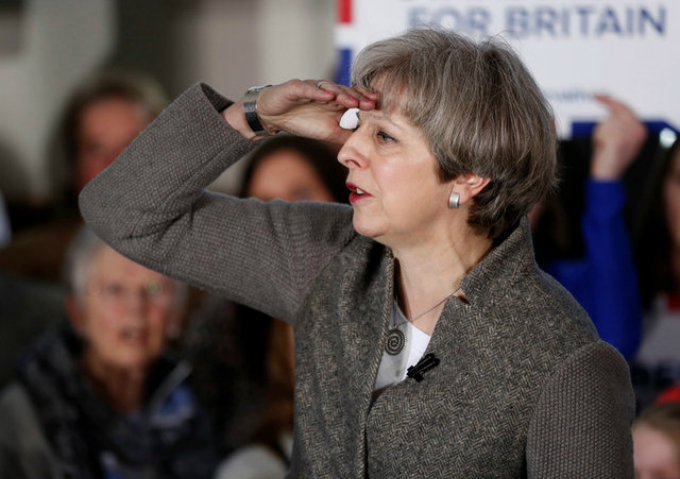 May said on April 11 that she would look to hold an election on June 8, to secure a mandate for her plan for leaving the European Union. Her secure lead in the polls meant sterling rose on the prospect of an election. She has sought to portray her Conservative party as the stable option as Britain prepares to start negotiations with the EU over the terms of its departure. A further tightening in poll ratings might generate more uncertainty over what Britain's position will be when it sits down in June to begin negotiations in earnest. The smallest gap between the parties was 11 points in a poll by ORB for the Sunday Telegraph. It showed support for the Conservatives at 42 percent, while support for Labour was 31 percent. It was ORB's first poll on the election since May called the poll last week, and is not necessarily comparable with polls by other firms. Theresa May pledged to protect workers against irresponsible practices over pensions on Sunday, promising new regulations on how schemes are handled during corporate takeovers. May's Conservative party will give regulators power to examine takeover proposals that threaten the solvency of a company pension scheme, and the regulator could be empowered to block takeovers if it is not satisfied with the arrangements. "Today I am setting out our plans, if elected, to ensure the pensions of ordinary working people are protected against the actions of unscrupulous company bosses," May said in a statement. "Safeguarding pensions to ensure dignity in retirement is about security for families."